19 Mar Affordable housing for all: What will it take? As announced by Finance Minister Arun Jaitley in his recent budget speech, India faces an urban housing shortage of approximately 20 million units, of which housing for so-called Economically Weaker Sections (EWS) and Lower Income Groups (LIG) – families with a monthly income of up to Rs 16,000 – accounts for over 90% of the gap. With a number of schemes introduced by previous governments to address the issue of affordable housing, including the Jawaharlal Nehru National Urban Renewal Mission (JNNURM), Rajiv Awas Yojana (RAY) and Affordable Housing in Partnership (AHIP) scheme, this gap should have been reduced. Yet only 220,000 houses were built with the help of these schemes in the past three years, out of which a majority were homes priced at greater than Rs. 10 lakhs – a number out of the reach for the EWS and LIG segments. 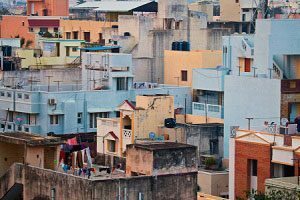 The second step is to understand the challenges faced by affordable housing developers in India. Three cities – Ahmedabad, Mumbai and Indore – have over 20 projects each providing housing below Rs. 10 lakh, thereby offering a choice of locations and developers to customers. Developers face a variety of challenges, with a lack of availability and high cost of urban land and a lengthy approval process (1-3 years on average) being the biggest bottlenecks. The longer time taken to complete projects, and resultant increase in costs, leads to an increase in market prices and lack of affordability for the target segments, while reducing profitability for affordable housing developers who operate on thin margins and thus rely on high throughput for viability. In addition, the lack of access to home finance for low-income borrowers makes it difficult for the developers to sell their inventory despite a considerable market for their product. Access to finance is also a challenge for the developers, as banks are reluctant to lend to the real estate sector given its challenges, and do so at a relatively high cost. These higher costs of financing ultimately get transferred to the beneficiary in the form of higher prices.